Most of us who work as counsellors have been shaped and conditioned to care through-out our life journeys. We are passionate care-givers and dedicate ourselves to supporting people in their lives, relationships, traumas and losses. We are mental health advocates, facilitators and healers. We shine light into peoples’ lives and along the way, we experience some burning; some pain from our work. 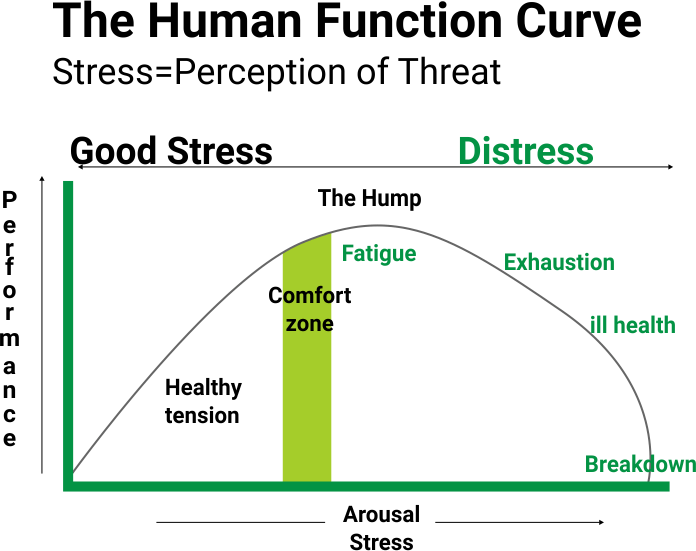 Tensions, demands and pressures from both internal and external sources all contribute to a sense of “stress”. Some stress is good; it increases our performance. However when the arousal from the stress becomes too high for too long, it is considered “chronic” and we end up overwhelmed, fatigued, exhausted with ill health and inevitable breakdown.Stress affects the mind, body and behaviour in many ways; the signs and symptoms of stress vary from person to person, but all have the potential to harm your health, emotional well-being and relationships with others. When you sit with someone who is distressed; your mirror neurons fire. The brain can’t tell the difference between doing an action and observing an action. We can absorb our clients’ pain, distress, fears and trauma narratives… this triggers the same neurological chemicals in our brains as though we were actually having the experience ourselves.My wellness can have an impact on your un-wellness. Your un-wellness or distress can have an impact on my wellness and stress. This is termed VICARIOUS TRAUMA and is defined in the dictionary as “suffering in the place of another”.It is the cumulative effect of witnessing and listening to peoples’ stories over time; it’s a gradual process of change that can happen in us because we care about others; because as we sit with them, our motor neurons are firing. That’s the way we are wired and we need to take suitable measures to protect ourselves and to discharge this secondary trauma and recharge. Our emotional buttons can be pressed as we listen to other people’s stories; they can triggers us to a past/present emotional upset or conflict within our own lives, where we still need healing ourselves or some sort of resolution. This equals emotional stress and is the third contributor to compassion fatigue. Burnout is emotional & physical (adrenal glands) exhaustion which happens over a long period of time and typically takes a long time to recover. Compassion fatigue leading to burnout happens gradually over time, and often we don’t recognise the changes in us; like frogs in a pot of water over a flame (they don’t notice the water is heating up until it’s too late). There will often be arousal, avoidance and intrusive symptoms.No one plans to get to a state of compassion fatigue and/or burnout. It can so often “just happen” which is why supervision is crucial for the counsellor amongst other prevention and resilience measures.